This simple cowl is knit using Mango Moon Yarns Chakra, a cotton/ elastic yarn threaded throughout with beads and stones, super soft Rowan Alpaca Chunky. This is a great last minute gift, and perfect for brand new knitters as it only requires the knit stitch on huge needles. The piece is knit flat (just like making a really short, wide scarf) and then sewn closed. You can whip one of these out in an hour, easily! If you are substituting yarns, make sure to use a super bulky, super soft yarn like Debbie Bliss Paloma, Katia Fabula, or even a double strand of Rowan Alpaca Cotton, with a beaded or sequined yarn (like Rozetti Yarns Polaris). 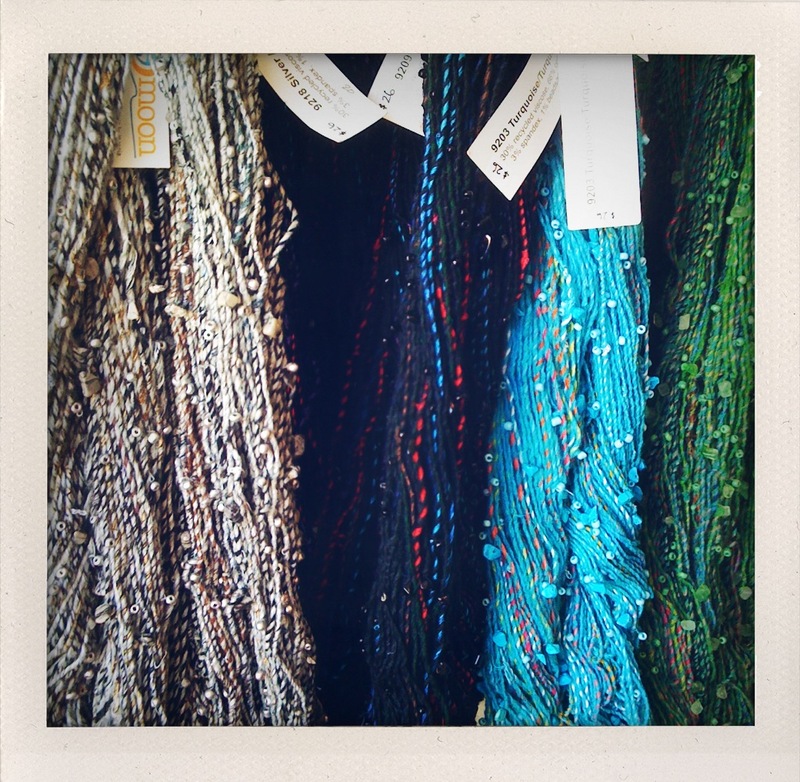 However, there is no other yarn like Chakra with actual stones in it! Materials: US size 35 knitting needles, 1 ball Rowan Alpaca Chunky, 1 ball Mango Moon Chakra, jumbo darning needle. Instructions: Holding both yarns together, cast on 26 sts. 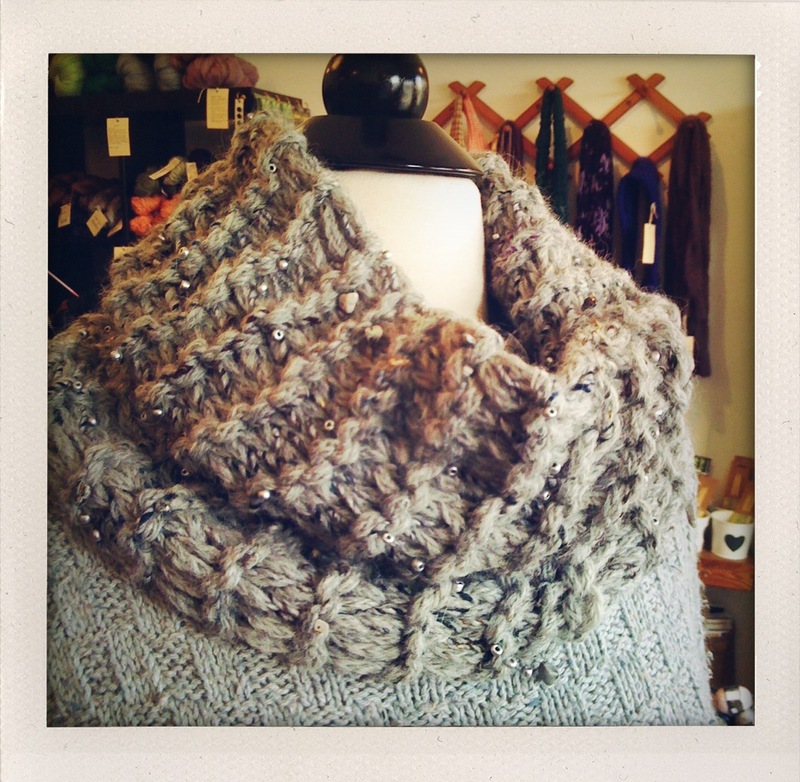 Knit every row until you run out of Chakra and then cast off using Alpaca Chunky only. 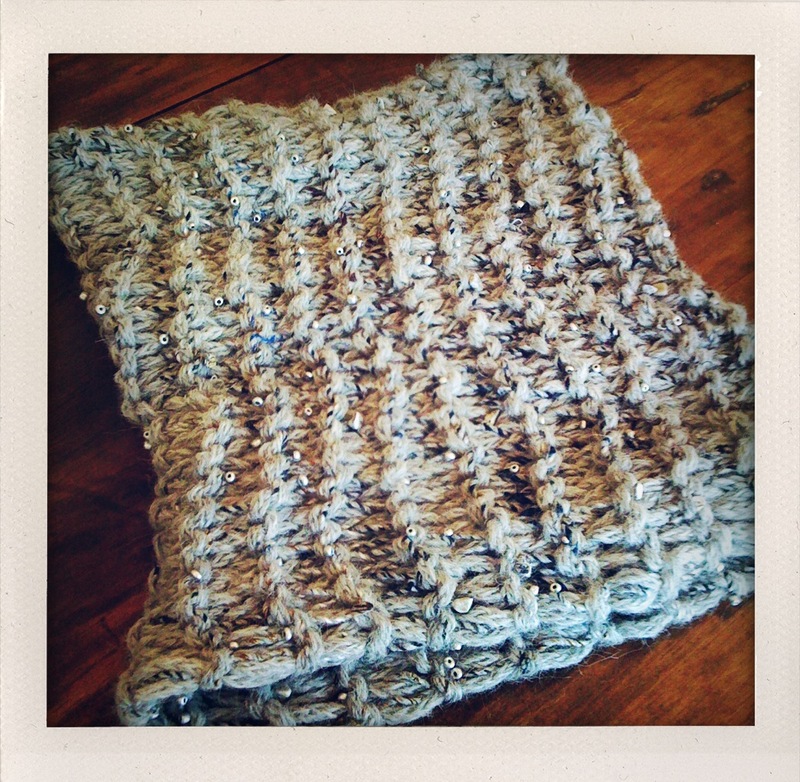 Sew closed with the leftover Alpaca Chunky and weave in ends. Wow ! I didn’t even know there were size 35 needles….awesome !